Audio Trails were chosen to design and build a permanent exhibition (with a twist) that welcomes visitors to Magna Science Adventure Centre in Rotherham. Magna is an exciting journey into the world of steelmaking. The Templeborough steelworks (as it was called) was once the largest electric melting shop in the world and the site’s industrial history stretches back to Roman times. ‘Steel, Peech and Tozer’ was the company, but everyone called it ‘Steelos’. 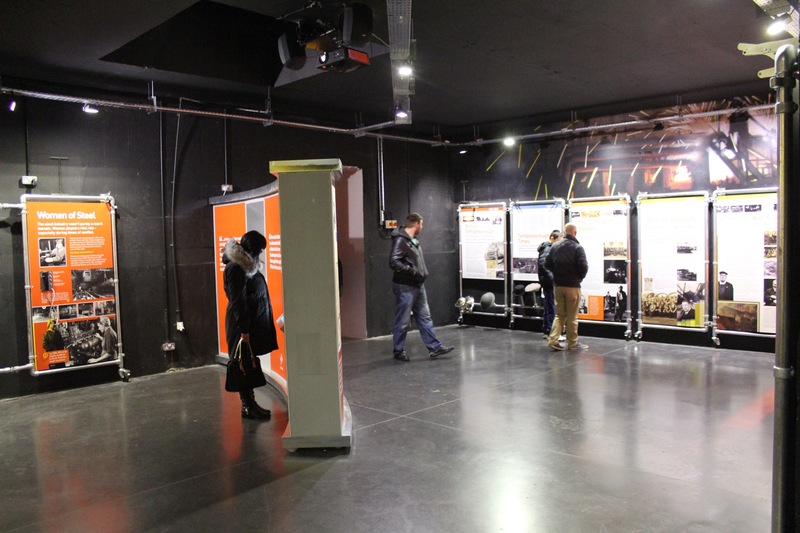 Previously the concrete bunker through which visitors first entered Magna was dark and uninspiring. With funding secured through the Heritage Lottery Fund, Magna were able to commission Audio Trails to turn this dour space into a vibrant exhibition that reveals the 2000 year history of steelmaking on this site.